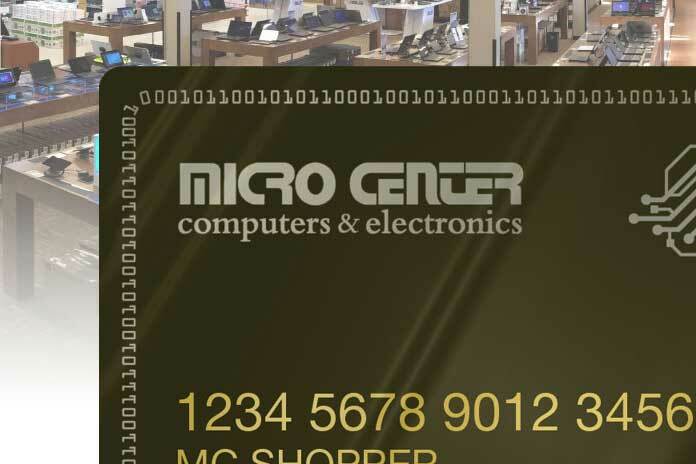 What is Micro Center Credit Card? It is a Credit Card that jointly carried out with Wells Fargo and Micro Center. The forerunner of retail is Micro Center is the co-branded credit card of Wells Fargo Bank from one of the largest banks in the USA. You can make installment payments during the promised period, so you can easily purchase your needs without delay. It is a credit card that is valid at Micro Center stores, providing you with special payment dates. The card offers a “zero-interest installment shopping” opportunity with min amount purchases. With this Card, you can follow the promotions throughout the year and take advantage of opportunities. What does Micro Center Credit Card do special with payments? You do not have to have cash at Micro Center stores! You can pay with a specially designed credit card. No interest if you pay fully in the agreed period of 6, 12 or even 18 months. You can take advantage of the different benefits offered by Wells Fargo bank. You can get interested free micro center financing with min purchase of $249 with the promise of 6 months to pay in full, or min purchase $999 with the promise of 12 months to pay in full. if you didn’t read my previous bon ton credit card reviews then read it, Bon ton credit card is also similar to the micro center credit card. Moreover, interest-free financing with min purchase of $999.99 all HDTVs with the promise of 18 months to pay in full. With a single card, you get all the benefits of Micro Center stores as well as all the benefits of a privileged credit card. This means that it offers store promotions in installment features to its customers with a single card. With quick and easy application process, you can speed up your shopping experience by paying with Micro Center credit card. No min purchase on products and services is necessary to use your card. All you need to do is to apply for Micro Center credit card and start your shopping and make a payment plan. It is the most convenient card at Micro Center stores. What are features of Micro Center credit card? Use it at micro center stores or microcenter.com for all products and services. What are the fees and interest rates for the credit card? Minimum monthly payments are required during the promised period. If you don’t pay during the period, interest rates are applied to the full purchase balance starting from the purchase date. If it is a new card, the annual interest rate is 28.99%, (but ikea credit card interest rate was 25%)then the interest rate gradually decreases over the months. And, the min interest charge is $1.00. How can I apply for a Micro Center credit card? You can apply immediately by simply going to closest Micro Center and fill out the form, and get your credit card in minutes upon approval, and enjoy quick and easy shopping with a privileged credit card. And especially remember this, don’t pay the full balance at once! While you can pay it off up to one and a half year.